Blessed Friday's for all in the month of May 2018 as Gong Cha is offering RM5 only for their regular drinks. 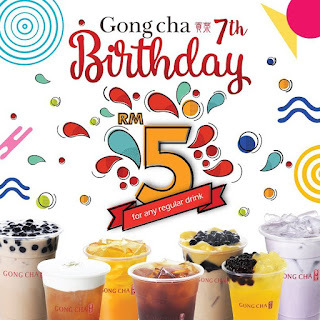 Having Gong Cha will surely quench your thirst. Don't forget to try it!